Iain McGregor has called time on a 20-year stint at Leighton Town. At their recent AGM, Leighton Town Acting Chairman McGregor resigned from his post after a combined total of just over 20 years service to the club as vice chairman and chairman. Alan Penman will replace McGregor as chairman for the forthcoming season. A statement read: "The club would like to thank Iain for his committed and loyal service over such a long period of time. 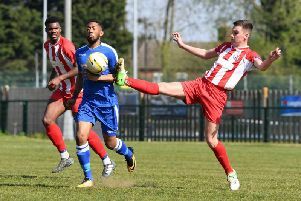 This weekend, Leighton Town take on Luton Town in the Beds Premier Cup. Kick off at Bell Close is 3pm.